The US government has relinquished control of the domain-parsing "switchboard" of the Internet. Control will pass to an international body which will likely include countries with no history of respect for freedom of speech. This has been generally ignored in the media despite the possibility that it may eventually mean the end of free speech on the Internet. Transits for this event against the charts for the US and for the Internet (data from James Kelleher) are interesting in this regard. Transiting South Node conjunct US progressed Sun and Pallas in Third House: a loss of life force and intelligence in the realm of communications. 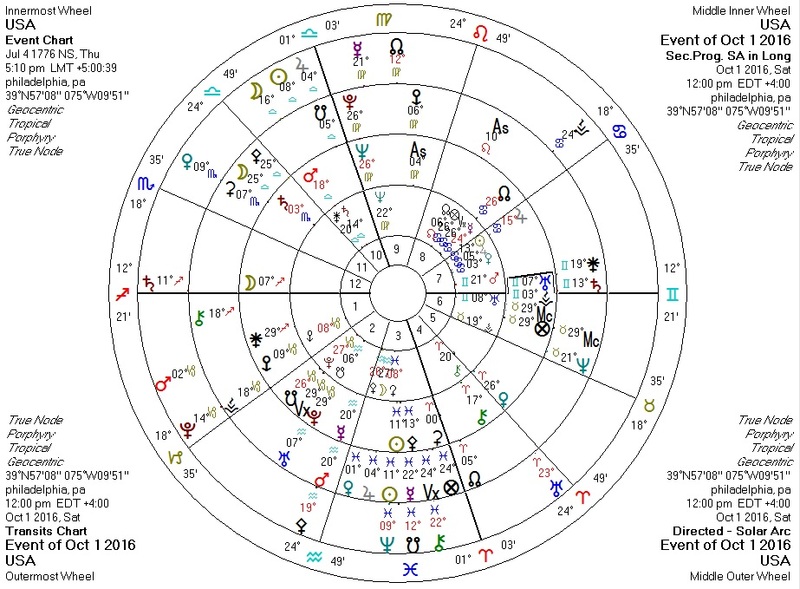 Transiting Neptune quincunx US Neptune in Virgo in the Ninth: dissolving a mechanism for publishing and visual media? Transiting Pluto square US Saturn in Libra the Tenth: the destruction of socially-oriented structure/authority. 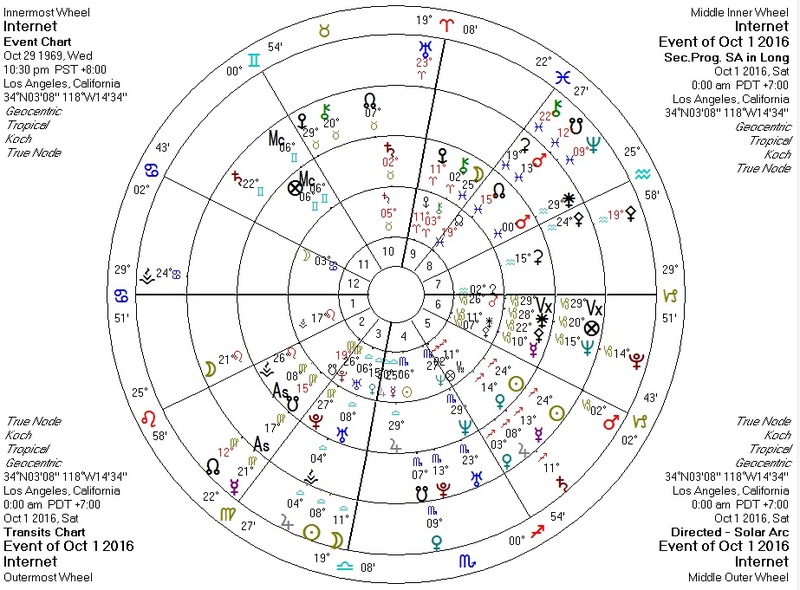 Transiting Pluto square Internet Venus in Libra in the Third: destruction/change of communication-related value. Transiting Jupiter conjunct Internet Uranus in Libra: big social/technological disruption.